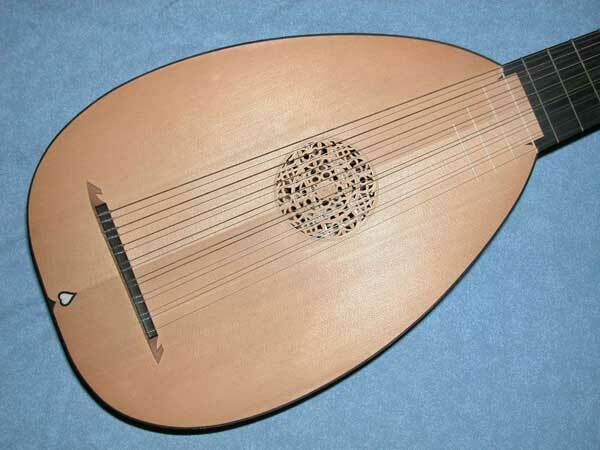 LUTE RENAISSANCE Reproduction Renaissance 15 course lute . Built in USA, 1984 by Larry Brown, luthier. 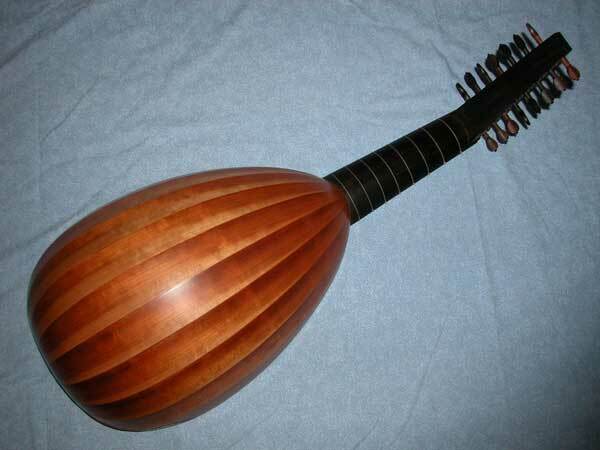 This is an exquisitely crafted, faithful reproduction of a traditional European 15 course lute. 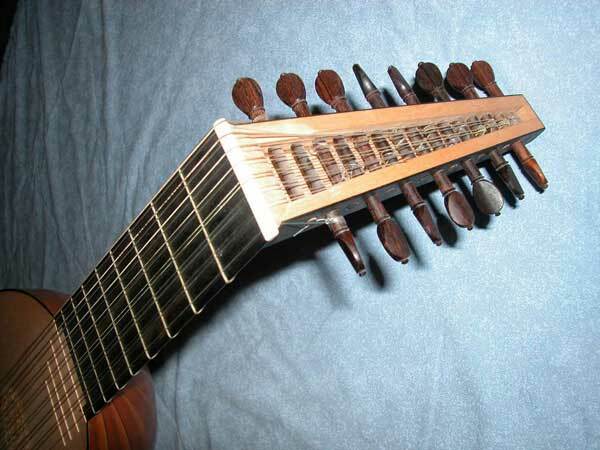 Hand built in fine tone woods, with beautiful inlay, detail and carvings. Includes custom built plywood case. Excellent/Mint Condition. 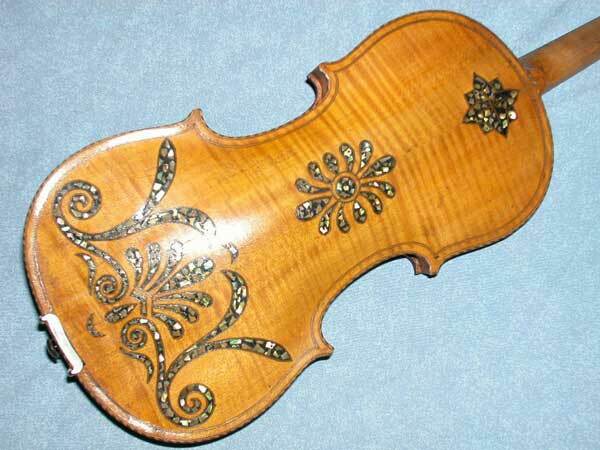 VIOLIN INLAY Violin with extensive wood and mother of pearl inlay. Built in USA, 1900's. 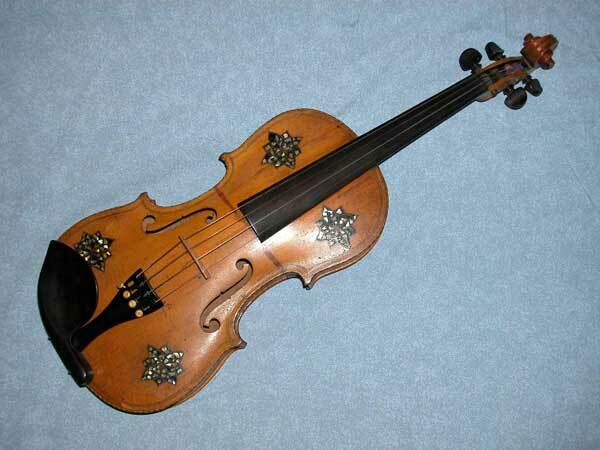 This is a beautifully crafted, violin with fine alternating wood inlay purfling. At sometime during it's life, extensive mosaic mother of pearl inlay was installed on the front and back of the body. Includes case. Very Good Condition, (one repaired crack on front upper bout and finish stain accross the front).